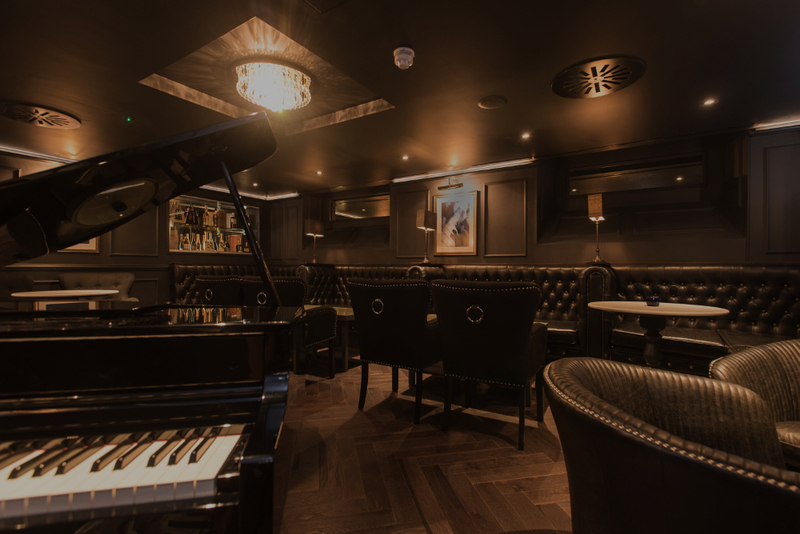 Liverpool's newest and most exciting venue now open with live jazz nightly and Sunday afternoon blues. 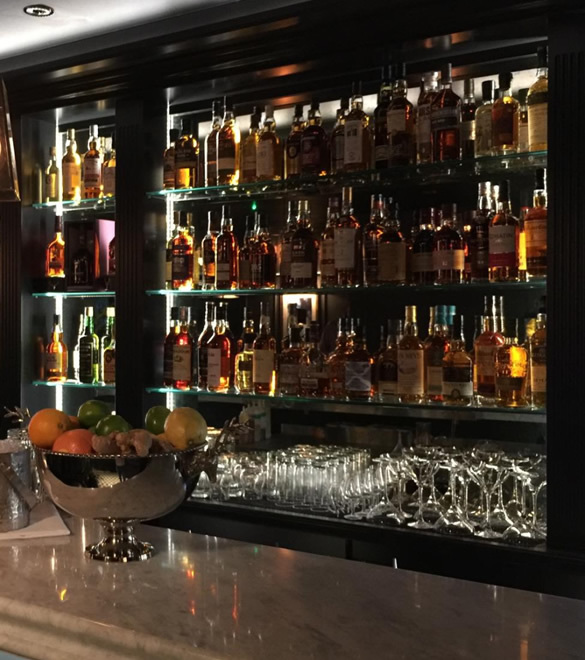 This beautiful room features an array of creative and delicious cocktails and over 200 rare whiskies by the glass. Liverpool's newest and most exciting venue now open with live jazz nightly and Sunday afternoon blues. 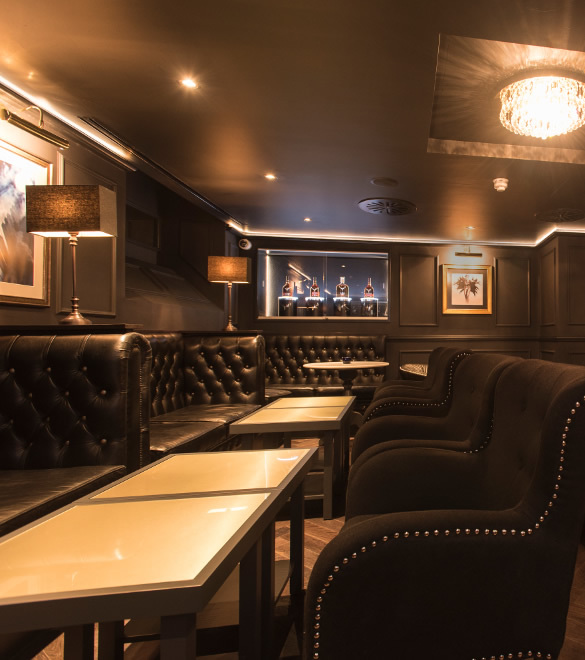 This beautiful room features an array of creative and delicious cocktails and over 200 rare whiskies by the glass. A full complement of wines and champagnes, plus outstanding small dishes prepared by our chef, await your selection. Adjacent you will find the new Turmeaus Late Hour Cigar Store & Sampling Lounge where you are welcome to sample a fine Havana or New World cigar. You can then make a considered decision if this is the ideal cigar for you and then purchase by the box. Our entire range is available in this new Turmeaus Late Hour Cigar Store, open until 11 pm. Our trained cigar specialists will be delighted to advise. 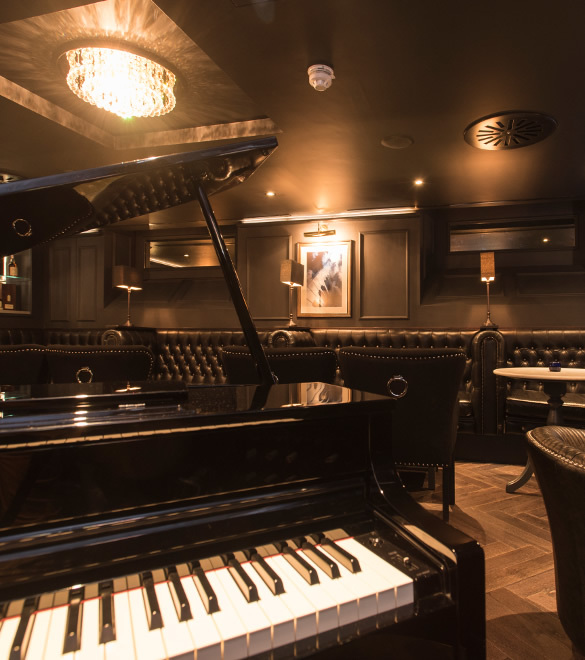 Experience the Jazz Age in the historic Albany building in the heart of Liverpool. 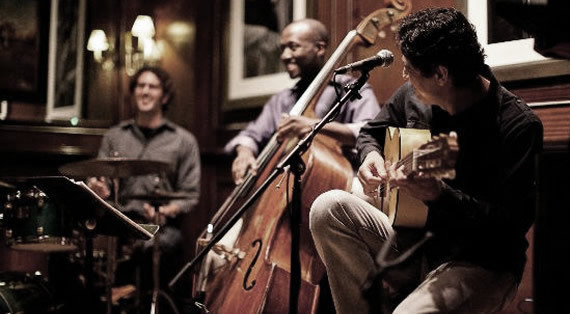 Be transported to another place and time with the sultry sounds of jazz nightly and Sunday afternoon blues. It’s been a long journey since C.Gars purchased the ground floor commercial premises of The Albany on Old Hall Street in the centre of Liverpool but it’s been worth the huge effort all of my team has put in. It’s a unique offering in opulent surroundings, the likes of which I have never seen before in the UK. Gorgeous waitresses and fabulous bar staff mixing crazy cocktails… Very laid back and very cool! 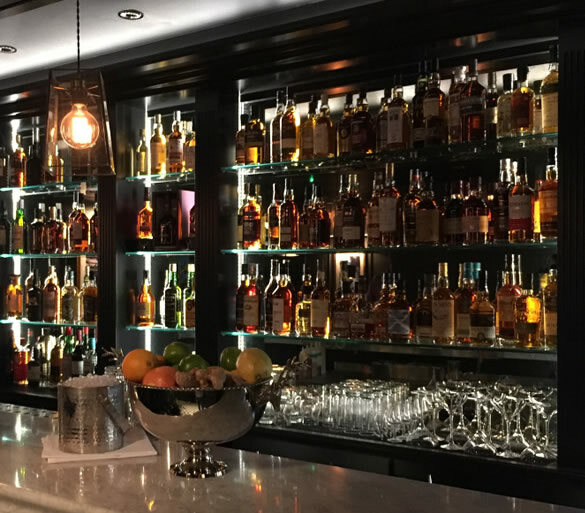 A staggering array of over 200 rare & premium whiskies available by the glass from our world class whisky menu. Champagne and caviar service in the stunning surroundings of our restaurant lounge. Inspired small dishes and cutting edge casual dining. A full compliment of wines and champagnes, plus outstanding small dishes prepared by our chef, await your selection. Our whisky tasting session includes four drams of whisky chosen by our experts, from any of the different regions of Scotland or from the New World of whisky (USA, UK, Japan…). An expert will be present with you the entire time (around one hour) and will discuss in great detail the whiskies you’ll be sampling. Our expert will provide an expertise on current tasting notes, flavours and aromas. The expert will also discuss with you in great depth information about each bottle, the distilleries it comes from, similar whiskies and the process of production whilst answering any questions you may have about anything whisky related. The tasting session also includes some complimentary nibbles from our Chef. The Orchant Selection showcases our range of exclusive and own-brand whiskies that have been bottled especially for our shops and cannot be found anywhere else in the world. We also include our "spirit of the month". The Morisson Selection is designed by following your wishes. You can choose the country (Scotland, USA, Japan…), the region (if Scottish) or even choose to mix the provenance of your new favourite elixirs. The Churchill Selection gives you the chance to taste some extremely well aged and/or rare whiskies. Available with Scottish, American and Japanese whiskies. Our cocktail masterclass offers you the opportunity to make (and drink!) 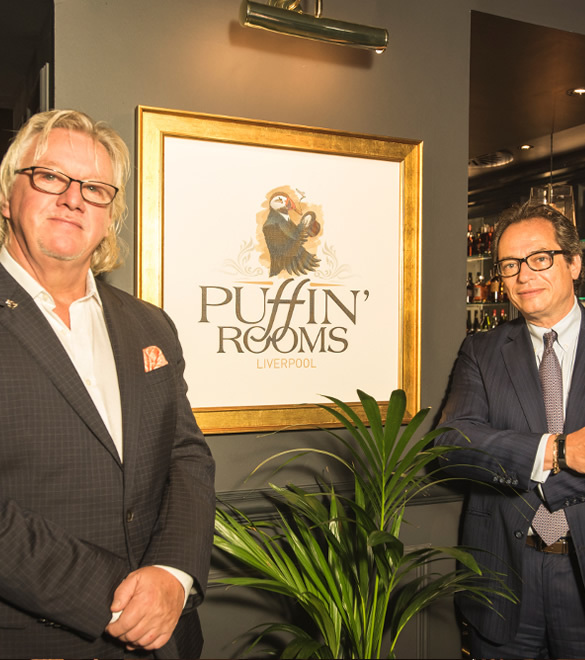 your favourite concoctions from the Puffin’ Rooms. One of our expertly trained bartenders will attend the class and share his/her knowledge on cocktail making and creating. You'll also have the privilege to discuss the process of creation of a well-balanced cocktail, where do the names come from and how to pair aromas and flavours with our expert. The cocktail masterclass also includes some complimentary nibbles from our Chef. The tasting sessions & masterclasses must be booked at least 48 hours in advance. Payment is to be made on the day (deposit to be paid from 4 people). Maximum of six people per session or masterclass. NO sessions or masterclasses on Fridays or Saturdays. NO sessions or masterclasses starting after 9pm (7pm on Sundays). Liverpool's newest and most exciting venue now open with live jazz nightly and Sunday afternoon blues. 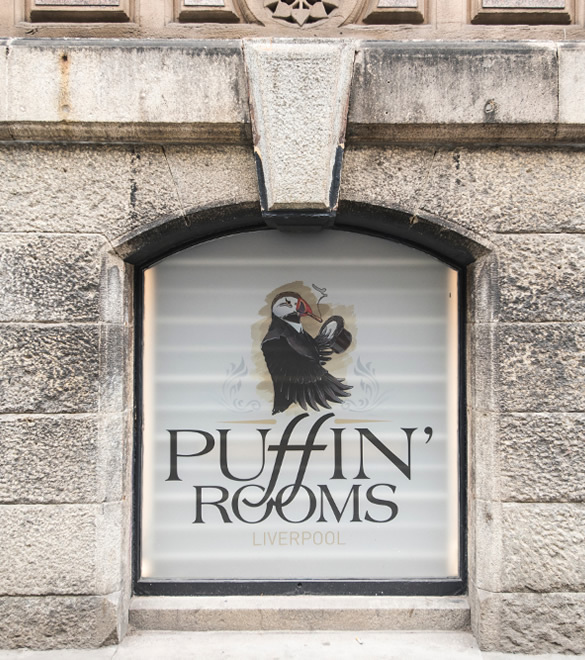 You'll love the great acoustics and relaxing atmosphere that only Puffin' Rooms brings. Unwind and listen to local artists, whether you are sampling one of our 200 rare whiskies or a pinot noir - we've got you covered too. Victoria is our resident musician. Victoria has She has performed for royalty, pop stars, footballers, film and tv stars, soul legends and politicians - even the Prime Minister! She has played alongside such greats as The Temptations, Billy Paul, Percy Sledge, Ben E King. Steven Gerrard asked her to play in his home as a surprise for his wife and she can count Justin Timberlake and Mark Ronson as fans! 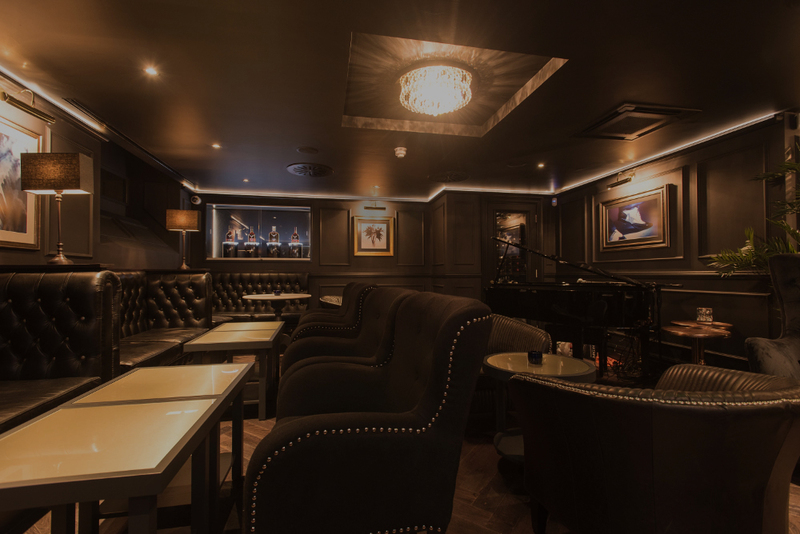 She brings her unique piano-bar feel to Puffin' Rooms. The Grace Notes are Su Kirby-Clarke on vocals and Barney Goodall on piano. With over 40 years of combined experience as professional musicians they play everything from classic jazz and soul to pop and blues. Talented singer, guitarist and pianist, Matt Browne from the Puffin Room Blues Train on Sunday afternoons makes his first solo appearance on a Saturday night. Jazz vocalist and guitar player. Absolutely loved our visit yesterday EXCELLENT!!!!! Will be back very soon …… Music was Fantastic! Food was Delicious. Staff were very informative and Helpful looking forward to a whiskey tasting with Chris.